Hello! 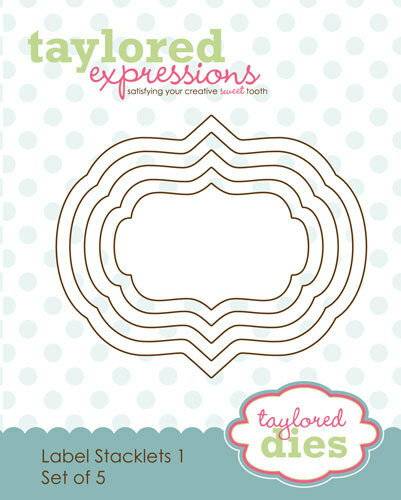 Welcome to day two of sneak peeks for the Taylored Expressions October release! I colored the stamped image with Prismacolor pencils and then added the white around the edges of the snow globe and the edge of the card using a white pencil. He is such a happy little guy and I love that sweet little bird keeping him company. I stamped the sentiment on vellum and then wrapped it around the base of the tube. I used the new Make a Snowflake die to cut a felt snowflake to finish off the top of the tube. The TE baker's dozen team will be providing inspiration through Friday. 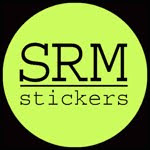 If you missed yesterday's sneak peeks, I encourage you to go take a peek at the blog hop...the projects are wonderful! All of the new products will be available for purchase on Thursday, October 4th at 8 a.m. PST. You'll find it all in the Fresh out of the Oven Department at the Taylored Expressions Store. Also, if you join the TE Facebook page, you will get an early peek at the stamp sets as well as an opportunity to win a SPECIAL Facebook giveaway TONIGHT beginning at around 6 p.m. PST. Here is the list of the other participating blogs today--Cannot wait to see what everyone created! Oh, I love the snowman on kraft, it's so pretty! Loving the snowman poop too, so adorable! Love this set! Your little snowglobe is s clever and cute - epecialle on kraft! And I love the little snowman poop favor you created! These are so cute! I love your snow globe and that stocking stuffer is adorable! Fab snowglobe card. 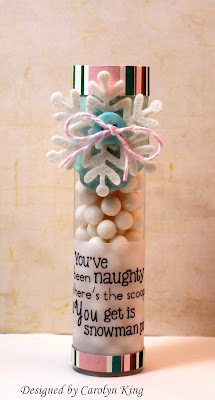 Cute treat holder and fun poem. Two grand ideas. I used the snowman poop saying a couple years ago. Your kids will love this. I also like the snow globe idea. I just might have to try that! Thanks for the inspiration! Adorable! Loving the snowman on the kraft! So stinkin' cute!! And fun! Darling I love the snowman on Kraft and making a snowglobe is an awesome idea. Very cute card. Love the snowman poop also. LOL. 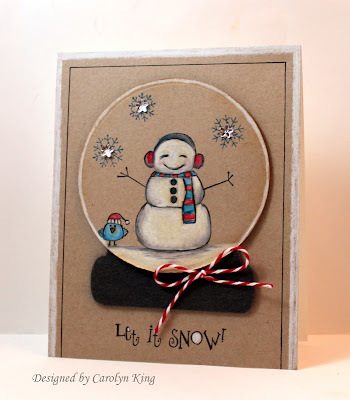 Your little snow fella is a cutie and on that kraft paper he really looks handsome indeed! 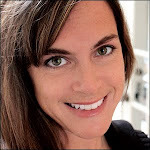 Sweet projects, Cammie! I LOVE the snowglobe in kraft and the snowman poop will be a great stocking stuffer! The snowglobe card is so cute! 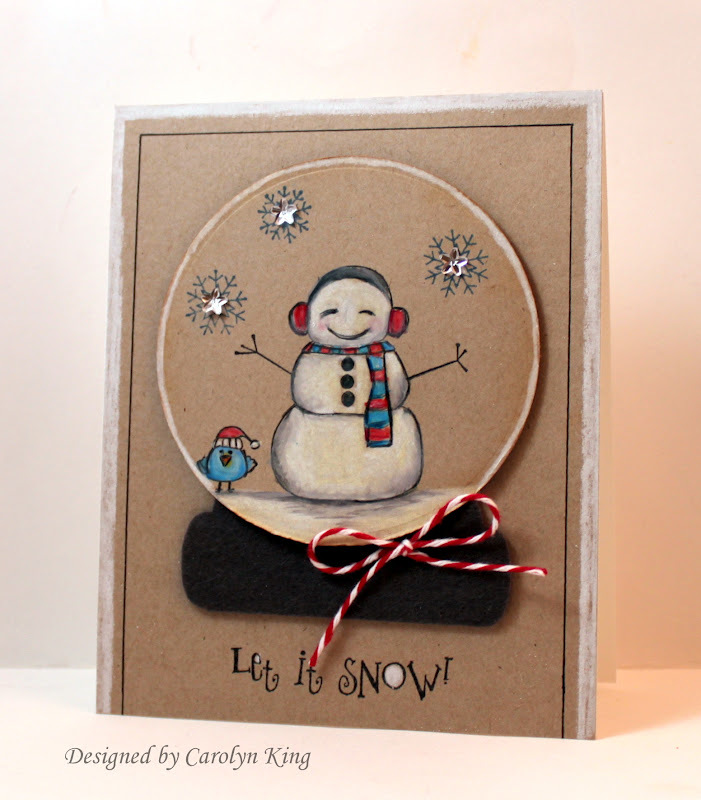 I never would have thought of making my own snowglobe with felt and cardstock! What a brillant idea! Very clever in the snow globe makings!! And I just might NEED the snowflake dies....no one can have too many different snowflakes, right?!!!! So wonderful, Cammie! I LOVE your snowglobe - what a fabulous idea! The snowman poop is cute, too. Ohh Wow! Cammie! I LOVE your Sweet Snowman on the Craft!! Such a Darling Snow globe too! LOVE this! And your Snowman poop treats are too Darned CA-UTE!!! Your kids are gong to love these! What a cute idea for the snow globe! So clever!! And I love your snowman poop! What is the poop exactly? I use marshmallows, but yours looks like candies of some sort!